Clark Grue, president and CEO of the Calgary TELUS Convention Centre (CTCC). Photo by EWAN PHOTO VIDEO. As Calgary emerges from one of the worst economic downturns it has ever seen, several points may be observed: Calgarians are steadfastly resilient; the energy sector has been, is and will continue to be the economic engine of the city; and – notwithstanding the previous point – the economy could do with a healthy dose of more diversification. 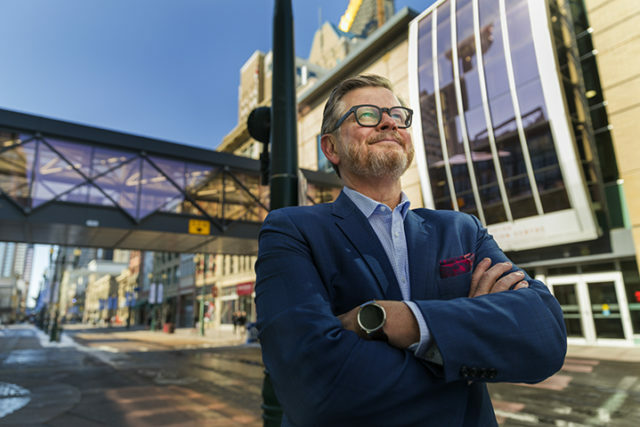 Clark Grue, president and CEO of the Calgary TELUS Convention Centre (CTCC), agrees wholeheartedly with each of these observations and in them, sees opportunity. Since assuming his job on November 1, 2016, Grue has been tasked with re-imagining the role of the 44-year-old CTCC, which, until the oil-price plummet of 2015, was a given. The Canadian market (outside the city) meanwhile has typically accounted for 32 per cent while the international market brings in 12 per cent of the CTCC’s business. In the face of a drop in local business, Grue’s plan is to grow that international number. 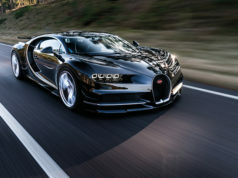 It’s a job well suited for Grue, whose resumé includes local and international business development at the British trade office in Alberta, at Calgary Economic Development and as a founder and partner at Rainmaker Global Business Development for 10 years. 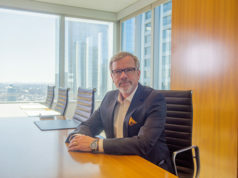 He is also vice chair of Meetings Mean Business Canada, vice chair of the American Chamber of Commerce in Canada, and sits on a task force for Canada for the B7, the business component of the G20. And a massive market it is: in the U.S. alone, the conventions and meetings industry reached $845 billion in 2016. “It’s an enormous industry that nobody really sees,” Grue declares. Mexico, and the opportunities presented with NAFTA, is another market Grue has set his sights on. To help bring his vision to life, Grue has restructured the CTCC at the top. He created two new, unique vice-president positions, including VP of acceleration. Adam Joyce was hired on for the role. Growing the business, he adds, will require more space, both in terms of the CTCC and surrounding hotel rooms. For Grue, Court and the team, this means creating experiential space wherever they can within the current confines of the CTCC. New rooms and elements such as furnishings, lighting and colours are being used to create a spatial sensation that allows people to think and interact differently. “It’s no longer about one massive room with a bunch of chairs and a speaker at the front,” Grue maintains. It also means taking better advantage of the “convention district” by integrating the spaces and services of surrounding businesses into CTCC offerings. For example, a reception at the Glenbow Museum or a spa day at the Hyatt are elements that can add to a delegate’s experience. The larger, more traditional conventions remain strong targets of course. In fact, the greatest proportion of conventions worldwide are in the medical industry, the STEM disciplines and business professionals. Notwithstanding the CTCC’s new direction, it is considered one of the best in its class, having held countless galas, weddings, high-profile speaking events, AGMs and conventions. Last year, it hosted the International Live Events Awards Gala and every summer hosts Otafest – a 9,000-person anime festival that attracts delegates from around the world. Already a favourite locally, the CTCC’s courtship of the international market has good prospects. Grue’s plan to leverage Calgary’s strengths to drive major economic growth, in the heart of the city, is both opportunistic and visionary. It has the potential to place Calgary – once again – on the world map.